Acne is the skin condition most commonly seen by doctors. It is very prevalent in teenagers, but can affect people of all ages at some point in their lives. Acne often starts around puberty and may last 5 to 10 years, or even persist into adulthood. Acne occurs when pores become clogged by an accumulation of dead skin cells and sebum, an oily substance produced by overactive sebaceous glands. Bacteria within the pores, called Propionibacterium acnes (P. acnes), can contribute to pore blockage and inflammation – visible as redness and swelling. The result is acne, the term used to describe emerging blackheads, whiteheads, pimples, cysts and pustules, which can be pus-filled. Acne usually appears on the face and neck, but can also affect the shoulders, back and upper arms. Heredity (genetics) is another factor determining who gets acne, and how severely. If either or both parents had acne, you are more likely to develop the condition as well. Milder forms of acne can often be treated with topical over-the-counter (OTC) products. For more severe, stubborn and/or widespread acne, it is important to see your family doctor or a dermatologist for diagnosis and advice. They may possibly prescribe medications, along with other therapies. Various terms are used to describe different forms of acne. These include comedones, papules, pustules, nodules and cysts. Mild — a few small lesions that are close to the skin surface, and may or may not be inflamed. Moderate — marked by more extensive whiteheads/blackheads and somewhat larger and inflamed red spots covering greater area of the face, and possibly also appearing on the back and chest. Severe — more extensive acne spots and some deeper cysts or nodules, causing redness and inflammation over much of the face and/or back and chest. Do wash your face. Use a recognized acne cleanser once or twice daily, but not more often, as this can cause further irritation. Do apply sunscreen. When you use acne treatment products, your skin is much more sensitive to UV rays. Choose a product that is non-comedogenic and non-acnegenic. Do use oil-free products if you wear makeup. Look for non-comedogenic products – those that don’t contain pore-clogging ingredients. Do launder pillowcases and sheets often. Bedding absorbs oil, and can lead to the accumulation of dirt and oil on your skin. Do wash makeup brushes with antimicrobial soap. Makeup applicators can store bacteria, so it is important to clean them frequently. Don’t pop acne pimples. Picking and squeezing leads to more bacteria being distributed, thus inviting more acne. It can also lead to permanent scarring. Don’t stress out! Stress can inadvertently worsen acne by causing increased hormonal activity. Don’t feel alone. Nearly everyone gets acne pimples at some point in their lives. Don’t scrub too much! It can irritate your skin and aggravate acne. Don’t wear makeup. Give your skin a chance to breathe and heal by avoiding makeup at least once a week. Several factors can cause acne to flare up or lead to breakouts. Although triggers can vary from person to person, you can help to control acne by avoiding things that you notice seem to aggravate the condition. Pressure due to a chinstrap, phone receiver, sports helmet, headband, guitar strap, bra strap, shoulder pads and other restrictive items of clothing can lead to acne developing at the point of skin contact. Excessive sweating can worsen acne in some cases, especially when sweat is trapped under damp clothing. Washing your face twice a day with a mild cleanser is recommended for acne-prone skin. Cleansing it more often, scrubbing/exfoliating or using strong cleansers or astringent products (i.e. toners with alcohol) can irritate the skin. Certain medications such as oral corticosteroids, some contraceptive pills (progestin only) and anticonvulsants can cause acne to worsen.. Many girls and women notice that acne flares up near their monthly period due to increased hormonal activity. Picking and squeezing acne spots can make them worse and increase the risk of permanent scarring. This manipulation can extend sebum and bacteria into surrounding skin tissues, leading to more swelling, redness and possible infection. If a certain kind of food seems to aggravate your acne, you should avoid it. There is some evidence to suggest that avoiding dairy products or following a diet with a low glycemic index may reduce symptoms for some people. There are many effective treatments available, but acne can be stubborn and difficult to treat. If you suffer from acne, you may feel that it is very slow to heal, and as soon as the pimples and lesions disappear,, others begin to form. Severe acne can cause emotional distress for many people. It can also lead to scarring. The earlier you start treatment, the lower your risk of enduring these problems, but what matters most is that you do seek treatment at any time of life. Effective acne treatments reduce overproduction of oil, speed up skin cell turnover, fight bacterial infection and reduce inflammation — all of which can help prevent scarring. Progress can seem slow, however, since most acne treatments take 4 to 8 weeks before results become visible, and your skin may get worse temporarily before it gets better. Prescription-strength acne treatments can include topical formulations, such as antibiotics, retinoids (vitamin A derivatives), benzoyl peroxide, anti-inflammatory medications (e.g. dapsone and azelaic acid) and their fixed dose combinations. Oral (systemic) medication can include antibiotics, retinoids or hormonal agents (i.e. birth control pills, spironolactone). The following therapies may be suggested in specific cases, either alone or in combination with prescription medications:. 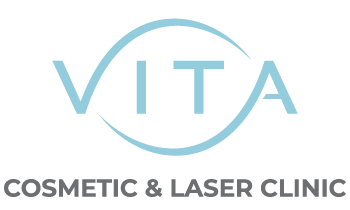 Vita Cosmetic and Laser Clinic offers a wide variety of acne therapies and skin products including Intense Pulsed Light (IPL) Therapy, Chemical Peels, Microdermabrasion, Microneedling, Platelet Rich Plasma (Prp) Therapy. For more information about our products and services, please contact us to book a free consultation.